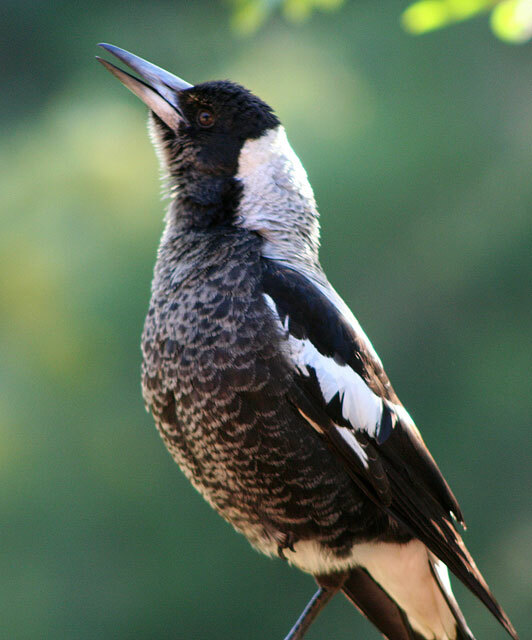 Why does a Magpie warble? It seems to me they don’t do it to communicate with each other because when they’re alone, contentedly sitting around, they sometimes warble. I think it’ a sign of their joy of living and hearing their melodious song is certainly a joy to me ……… though less so at 3am! This young one was already showing great musical talent. 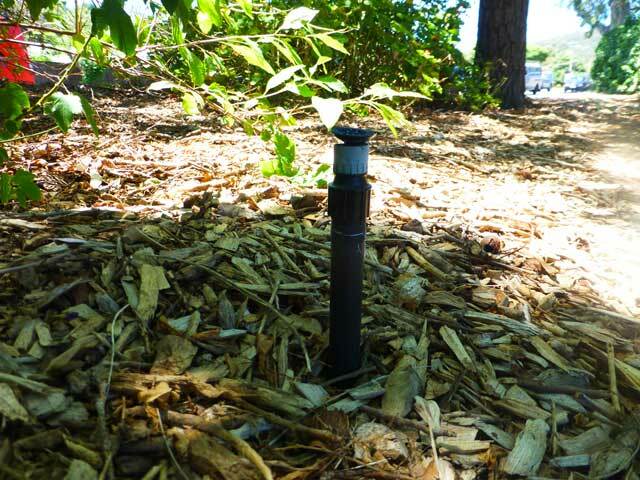 This was one of two seemingly identical “sprinkler heads”. 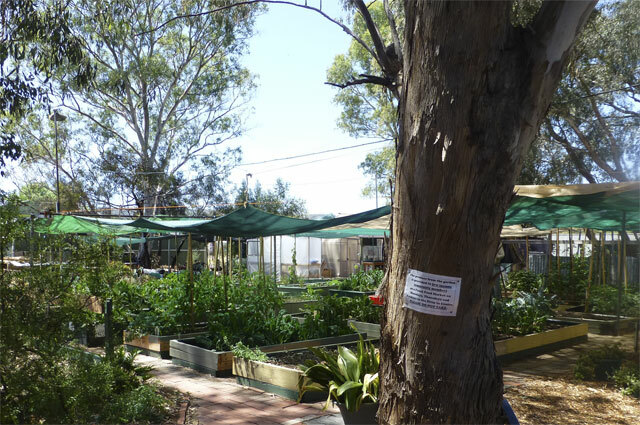 This is the “Picket Fence Community Garden” at St Mary’s, Adelaide, South Australia and it’s connected to a Community Centre which provides meals, runs courses and activities. 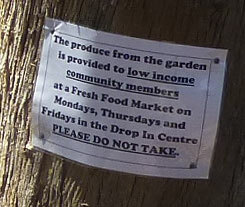 An online site says, “The Picket Fence aims to be an open, loving and accepting place promoting quality of life to the benefit of the community.” Only a low, white, picket fence surrounds the garden and there are no gates so anyone can just walk in at any time, the only “barrier” to people raiding the garden is the notice attached to a tree. I’d like to see something like this in my community. 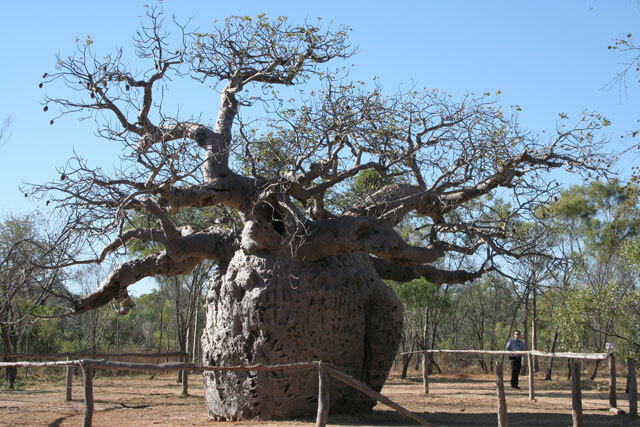 The Derby Boab Prison Tree, Western Australia. 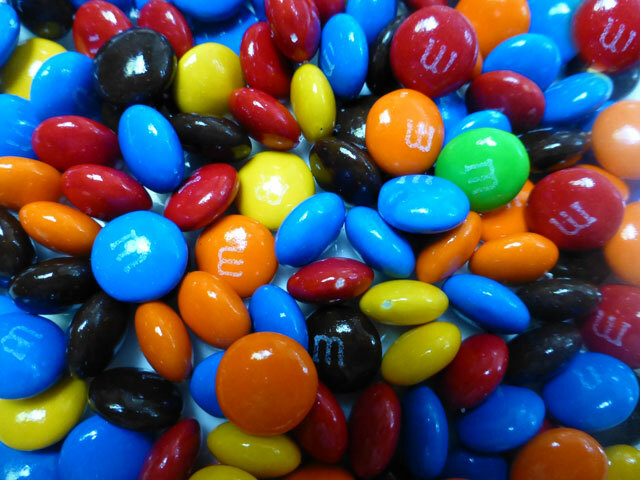 This week’s photo wasn’t taken for the Challenge but I think it fits the criteria perfectly. It’s impossible to know the age of the grand old tree because it’s hollow so no growth rings to count but experts think it’s around 1,500 years old. 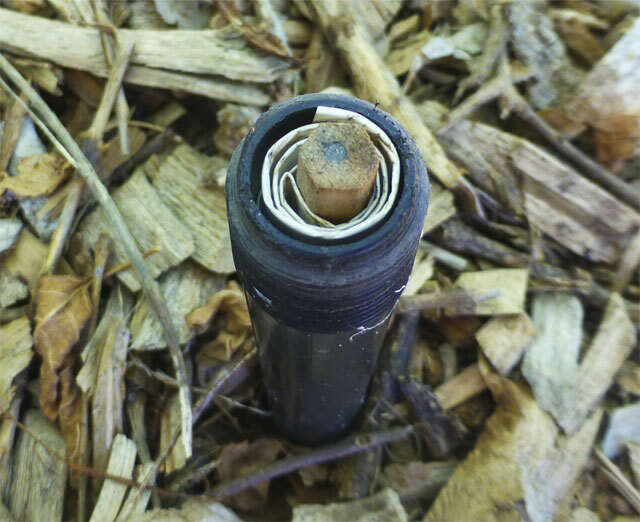 It has a girth of 14.7 metres and there is an door like opening into the hollow centre, the tree was used as a staging point for prisoners being walked from the surrounding area into Derby in the 1890s. The tree has cultural significance for the local aboriginal people.